How To Prevent And Treat Kidney Diseases? Nephrology is a field of science that makes its goals to identify, study and treat various genetic and acquired kidney diseases ranging from common kidney stones to more serious nephritis and to dangerous conditions like kidney failure. 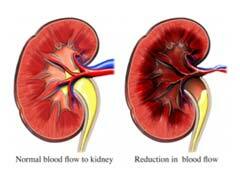 Healthy kidneys perform an array of vital bodily functions. Kidneys are one of the most hardworking organs in our body working nonstop, even when we are sleeping. Kidneys are in charge of filtering toxins of the blood, maintaining electrolyte balance in the body, helping nutrient absorption, secreting hormones and removing excess fluid wastes thus regulating blood pressure. Unfortunately, healthy individuals take normal functioning of kidneys for granted, it’s when they start experiencing vague symptoms of kidney diseases, the condition is very often in the advanced stage and requires complex treatment. Because kidney diseases symptoms very often resemble other related or unrelated health conditions, people suffer for years before they actually go to the doctor and are diagnosed with various kidney diseases. If you experience any of these symptoms and suspect you might have some form of kidney diseases, it’s essential to get diagnosed as soon as possible to avoid your disease progression into dangerous kidney failure. Kidney disease prevention, just like prophylaxis of any disease, starts with educating yourself on the worst culprits for causing kidney diseases. Let’s take a look at what we should stay away from to avoid kidney diseases especially in predisposed individuals. Obesity is perhaps the culprit for many conditions, including kidney diseases. Excessive weight puts too much pressure on internal organs and surrounding tissues and triggers water retention and hypertension which in its turn may cause kidney diseases. Diabetes is one of the leading factors contributing to kidney diseases. Careful measures should be taking in controlling this condition in cases with Type I diabetes and definitely avoiding Type II diabetes in the first place with healthy diet and exercise. With progression of uncontrolled or poorly controlled diabetes, blood protein slowly destroys kidney blood filtering function leading in progression of kidney diseases. High blood pressure is another offender when it comes to kidney diseases. According to medical estimates, more than ¼ of kidney disease cases were caused by hypertension. Larger than normal volumes of blood in blood vessels inadvertently lead to their damage over time making heart, kidneys and lungs work harder. This constant tension in blood vessels leads to their damage and to kidneys that can no longer perform their function efficiently. High levels of sodium in diet are affecting kidneys by making them work in overdrive trying to filter excessive sodium. In addition, excess mineral consumption may lead to electrolyte imbalance and kidney stones. Too much salt triggers kidney over filtration which may damage delicate organ tissues. Stress is one of the main factors leading to various health conditions, including kidney diseases. Stress makes your heart pump blood faster, causes elevated blood pressure, sense of anxiety and heightened alertness, this in its turn triggers high blood pressure and may pose a significant risk for developing kidney diseases. Substance abuse, namely, smoking and alcohol consumption overloads kidneys with toxic matters impairing their function and eventually leads to kidney diseases. Now that we know what causes kidney disease, it would be also beneficial to learn how kidney diseases are treated. Kidney diseases are classified into several groups, congenital and acquired kidney conditions. Kidney diseases could be acute and could also be chronic. Depending on the category of kidney diseases, the treatment will vary and the outcome will depend on how serious your kidney disease is. Certain kidney diseases like membranous glomerulonephritis, for example, have no known cure and will eventually entail total renal failure. Patients affected with total renal failure are usually resorted to undergo regular peritoneal dialysis and hemodialysis in order to filter their blood to make up for the lost kidneys function. Another option for patients with severe kidney disease is to receive kidney transplant but it may take years to receive one. Dietary Restrictions are very important along with a course of medicated medical treatment. Patients with kidney illnesses are advised to limit the consumption of sodium, potassium and phosphorus. Too much of these substances will lead to dangerous electrolyte imbalances causing weak bones, heart palpitations and elevated blood pressure. Additionally, protein rich foods like meats and legumes should also me consumed in moderation because weak kidneys cannot process proteins from foods efficiently. Your doctor will advise you on how much liquids you should be taking daily because excessive liquid consumption may lead to swelling in the extremities, lungs and the heart. Lifestyle modifications. It’s important for all kidney disease affected patients to stay active to maintain kidney function at its best. Exercise helps strengthen muscles, regulates blood sugars and blood pressure, aids in promoting well being. Sedentary lifestyles are not acceptable for such patients because they only lead to disease progression at a much faster rate. Herbal Remedies. Since kidney diseases are very serious and at times life threatening conditions, any use of herbal preparations must be discussed with your doctor. Generally, herbs like corn silk, horsetail and juniper berries have shown great results in maintaining renal function along with doctor prescribed course of treatment.